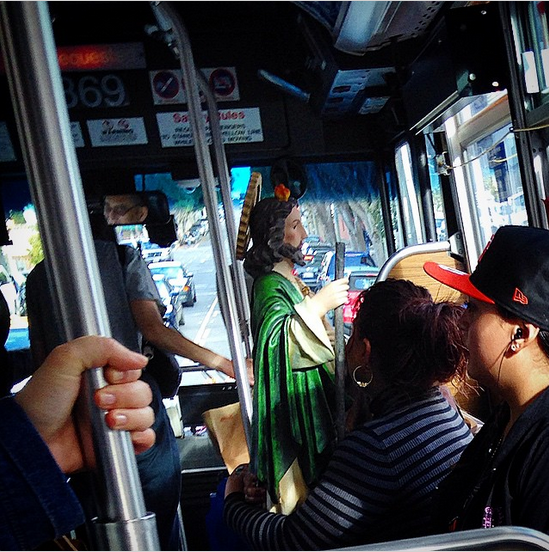 It always helps to ride the bus with the patron saint of desperate situations, as observed by @nutcheese on Instagram. Just so you know, famous peeps do ride public transit, like the Most Interesting Man in the World, Chewbacca, and the governor, even. Who did you see on the bus today? Our Instagram inbox is hungry for your daily musings! Well, they say Saint Jude is the patron saint of lost causes, so you can draw your jokes from that.